THE RENT LOTTERY IS HERE! DAY OF PERFORMANCE THERE ARE A LIMTED NUMBER OF TICKETS FOR $20. 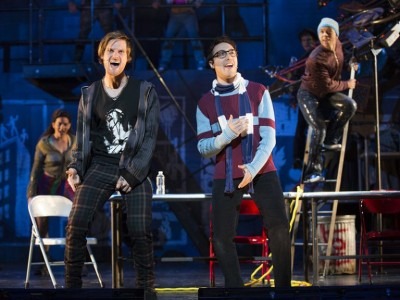 SHOW UP AT THE SHEA’S BOX OFFICE 2 ½ hours PRIOR TO SHOW TIME TO ENTER THE RENT LOTTERY. NAMES WILL BE DRAWN FOR THE LIMITED NUMBER OF $20 SEATS. CASH ONLY. IN PERSON AT THE BOX OFFICE. Returning to the stage in a vibrant 20th anniversary touring production, a re-imagining of Puccini’s La Bohème, RENT follows an unforgettable year in the lives of seven artists struggling to follow their dreams without selling out. With its inspiring message of joy and hope in the face of fear, this timeless celebration of friendship and creativity reminds us to measure our lives with the only thing that truly matters—love.